From the pages of Blackest Night! 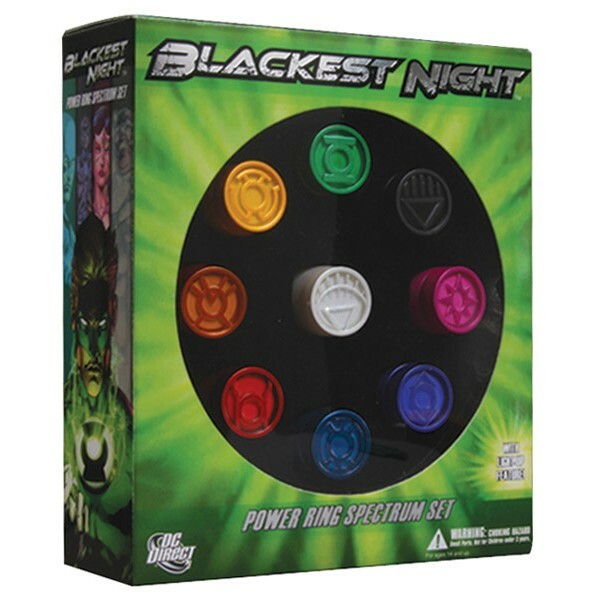 Embody the entire emotional spectrum of the Blackest Night storyline with this special light-up ring set from DC Direct! 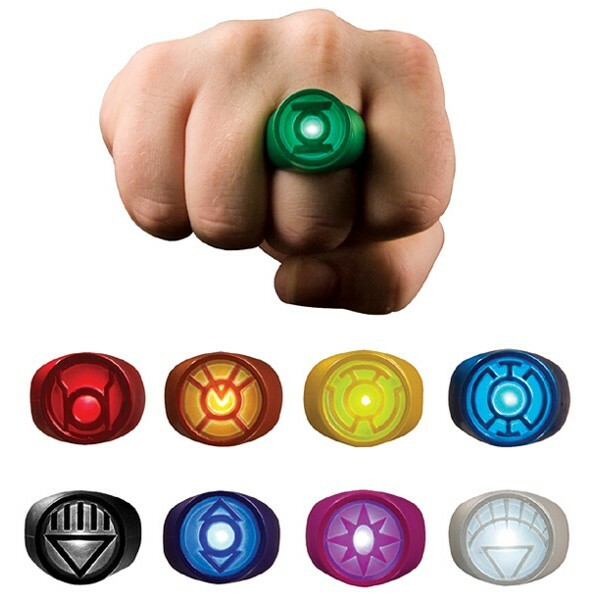 Featuring designs that are authentic to the comic, each of these nine wearable, adjustable plastic rings (one each in red, orange, yellow, green, blue, indigo and violet, plus black and white) lights up using the special key included with the set. (The batteries can also be changed). Packaged in a 4-color window box, the rings make a beautiful display when they are not being worn.